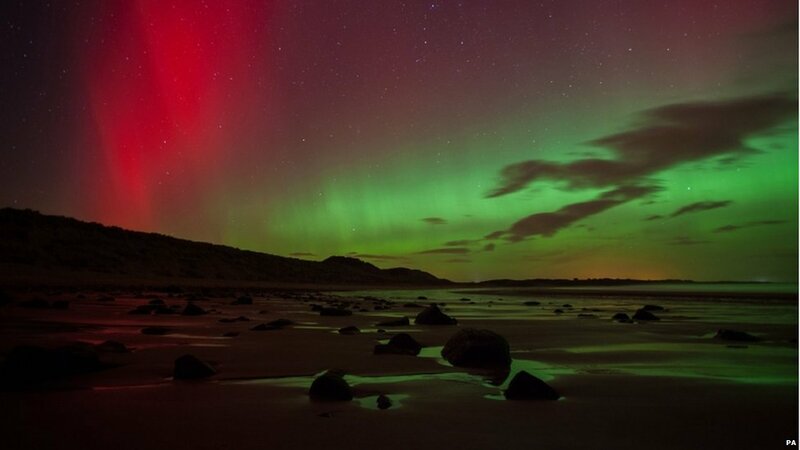 The Aurora Borealis – better known as the Northern Lights – has been giving rare and spectacular displays over parts of the UK, from the north of Scotland to as far south as Jersey. 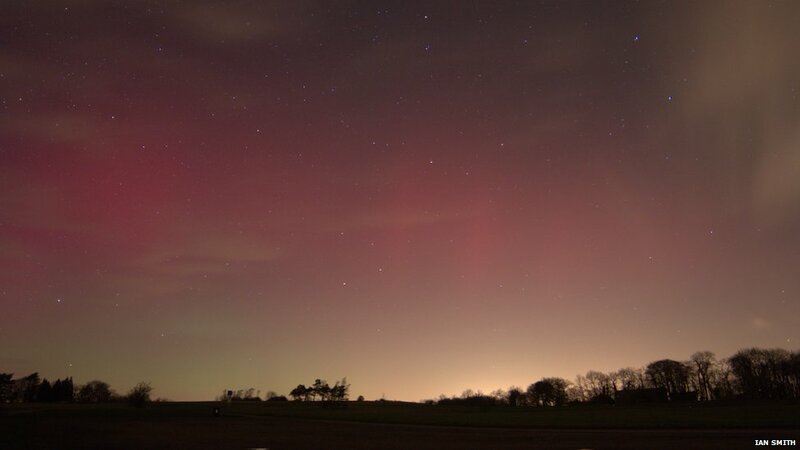 The lights have also been visible in places such as Essex, Gloucestershire, Norfolk and south Wales. 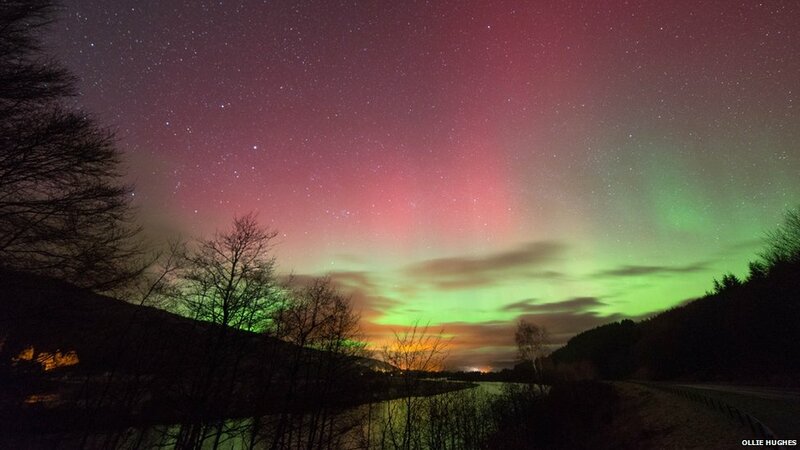 The astronomer said: “Three or four days ago the Sun will have thrown a lot of this stuff out in an event called a coronal mass ejection, and they would have been travelling towards the Earth since. 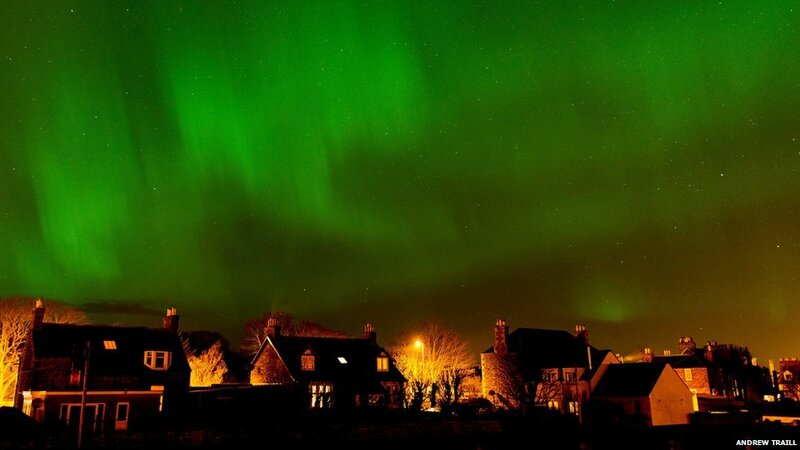 It all depends how active the Sun has been.” This photograph was taken in Boulmer, Northumberland. 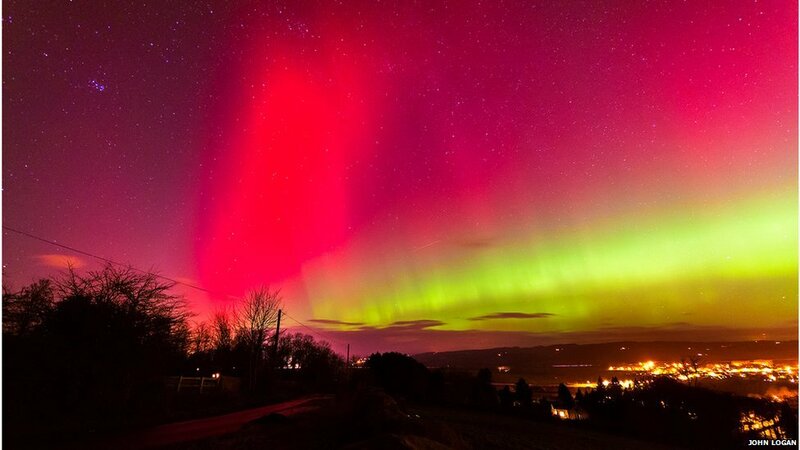 Mr Thompson said the particles were usually pulled towards the North Pole but if there were enough of them “they will travel further down towards the equator and cause the lights to go further south” as shown in this picture, taken in Gloucestershire. 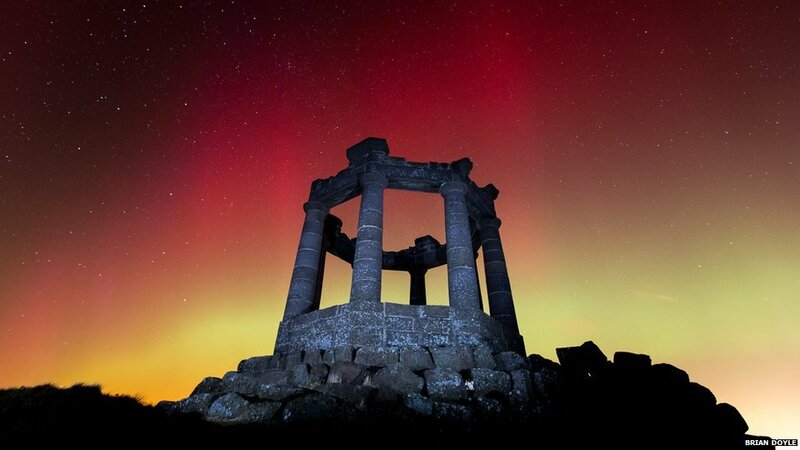 The Northern Lights were also seen in Northern Ireland. 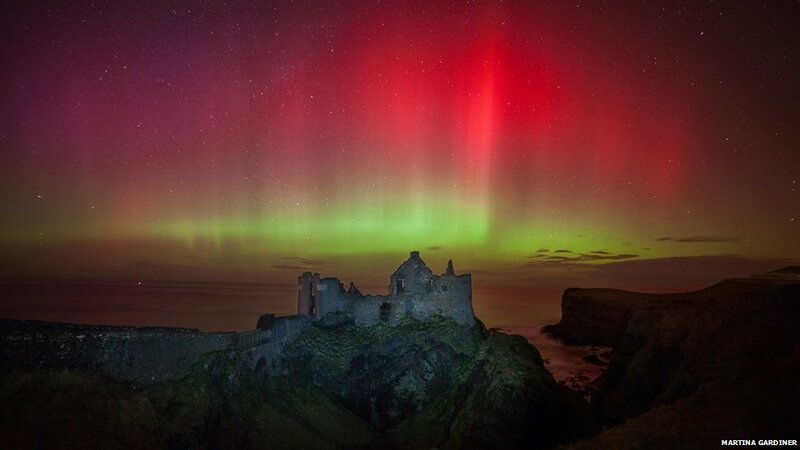 Martina Gardiner was at Dunluce Castle in County Antrim and captured this colourful image. 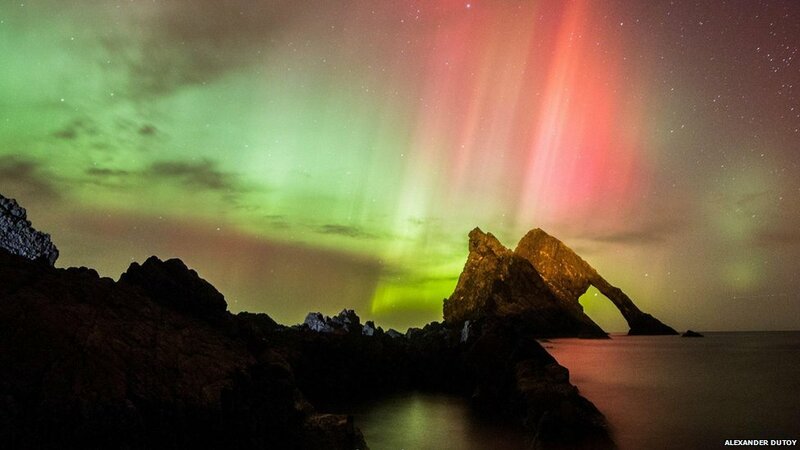 Lucie Green, of the Mullard Space Science Laboratory, said: “At the moment we are at the height of the Sun’s activity cycle, and it’s ultimately energy from the Sun that creates the Northern Lights.” The lights were seen from many parts of the UK, including here at Bow Fiddle Rock in Portknockie, Moray. 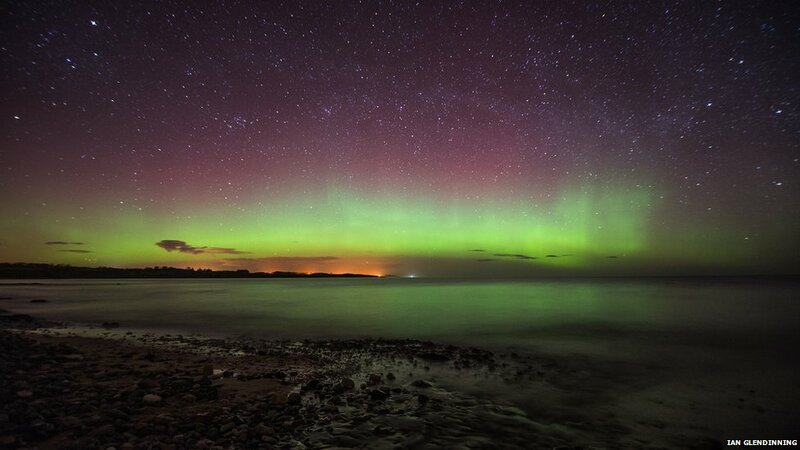 Ms Green said: “When we were watching the Sun on 25 February we saw that a particularly large and fast eruption leapt off from the Sun’s atmosphere, and the models predicted that we would probably get a glancing blow from this eruption, and they were right.” This picture was taken at Embleton Bay in Northumberland. 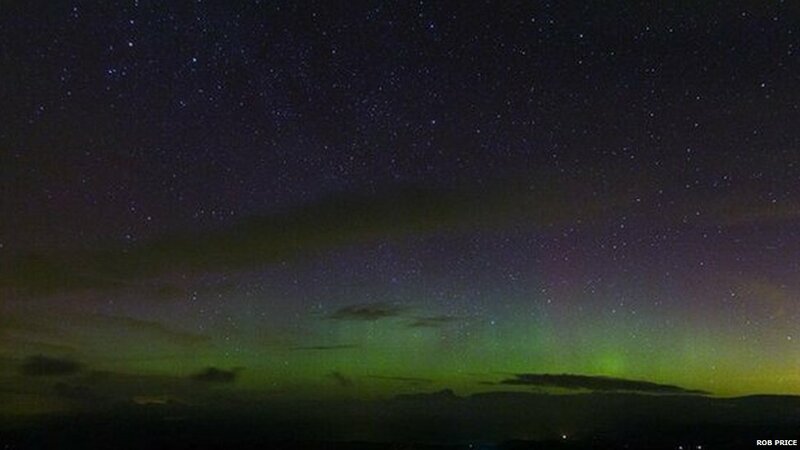 Ollie Hughes travelled from Edinburgh to Pitlochry at midnight to catch a glimpse of the lights and took this picture. 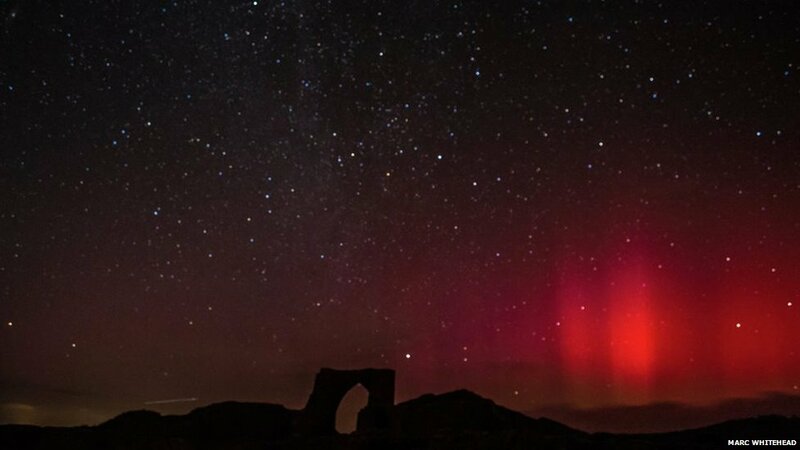 Many parts of Wales also experienced the rare phenomenon. Rob Price photographed this scene near Machynlleth in Powys. Many people took photographs of the illuminated skies. 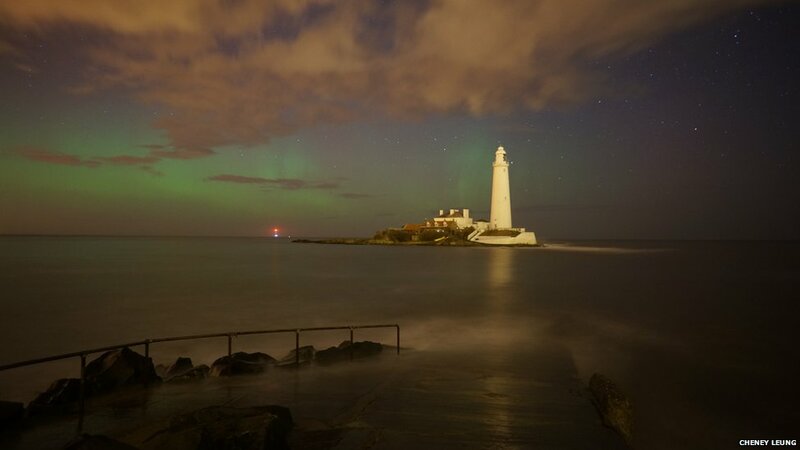 This one shows St Mary’s Island, Tyne and Wear.